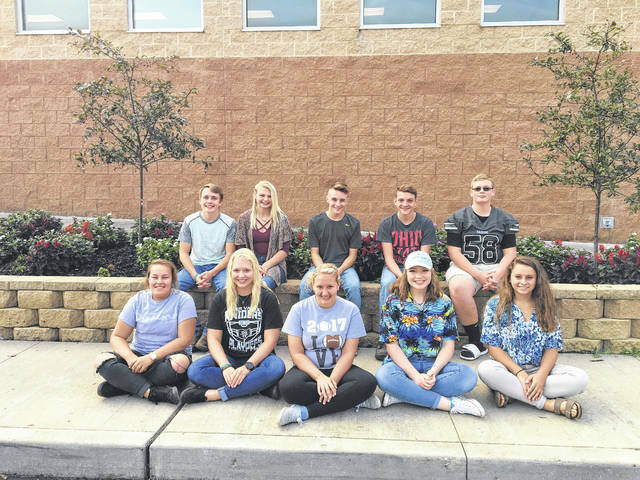 Gallia Academy sent eight FFA students to the district competition for soil judging. From left, Katherine Dickson, advisor, Ashleigh Miller, Abigail Cremeans, Grace Montgomery, Koren Truance, Caleb Greenlee, Clay Montgomery, Cody Brumfield, and Kyler Greenlee. River Valley High School FFA sent two teams to the district soil judging competition. Front, from left, Hallie Burris, Kaylee Schultz, Allison Hale, Madi Young, and Jenna Burke. Back, from left, Jake Edwards, Taylor Huck, Noah Patterson, Joel Brumfield, and Kaleb DeWitt. 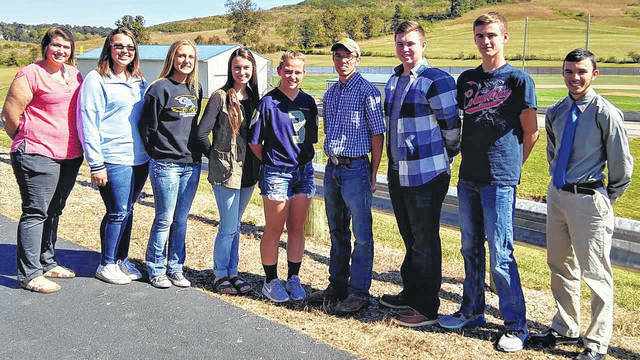 GALLIA COUNTY — Local students are learning how to judge soils through Future Farmers of America (FFA) and compete at the local and district level. Soil judging is a skill and practice used in a variety of fields for several different reasons. Students are tested in two areas of soil: urban and agricultural. Students are presented with samples of soil from different parts of the ground and then given the task of determining its usage and ability. River Valley High School FFA members took second place in urban and fourth in rural. Gallia Academy High School FFA students placed in the top three individually in urban and first as a team. They placed second at district in rural, with two individuals in the top three. RVHS has sent a soil team for the last 12 years to the state competition. “In urban we look at soil and things like structure and texture to see if we can build certain structures on in,” said Clay Montgomery, GAHS urban soil team member. Urban soil judging is used when plotting land for a house or building, septic systems, and underground utilities. Students are taught to identify soils for their benefits in agricultural uses; growing plants and raising livestock. The practice of soil judging is used by contractors, engineers, and surveyors regularly to build and maintain infrastructure common throughout society. South Gallia was not represented at the district level.